As part of Refugee Week, a seminar on diaspora communities and humanitarian action took place on Tuesday 16 June at BMECP Centre. The seminar brought diverse speakers who shared their experience on diaspora engagement. Chaired by Edward Kibosek – Founder, Operational Director of IT Skills 4 Rural Kenya, speakers included Angela Haynes, a PhD Candidate in Migration Studies at the University of Sussex and the Research Uptake Manager for the Migrating out of Poverty programme who provided an overview of what it means to be a diaspora, and the type of engagements diasporas have with their countries of origin. Elvina Quaison, Engagement and Policy Officer with AFFORD, provided an overview of her role coordinating the Diaspora Emergency Action and Coordination (DEMAC). DEMAC is a European Commission funded partnership project focusing on the diaspora and their response to humanitarian situations in their home countries. The Sierra Leonean diaspora have been active in the response to the Ebola crisis, insights on this was provided by Unisa Dizo-Conteh, UK Co-ordinator for AFFORD Business Centre. In 2013, Sudan experienced its worst floods in a quarter of a century; Intisar Shumein, a Brighton based Laboratory Scientist and a former Trustee of the Sudanese Community in Sussex, gave an account of how the Sudanese community in Brighton mobilised to raise funds. Bringing in the link between development and humanitarian response, Cassandra Blowers, who works with Quality Team for Brighton & Sussex University Hospital Trust, shared how the Brighton –Lusaka Healthlink contributes to the strengthening the Zambian health system by providing training to healthcare professionals. 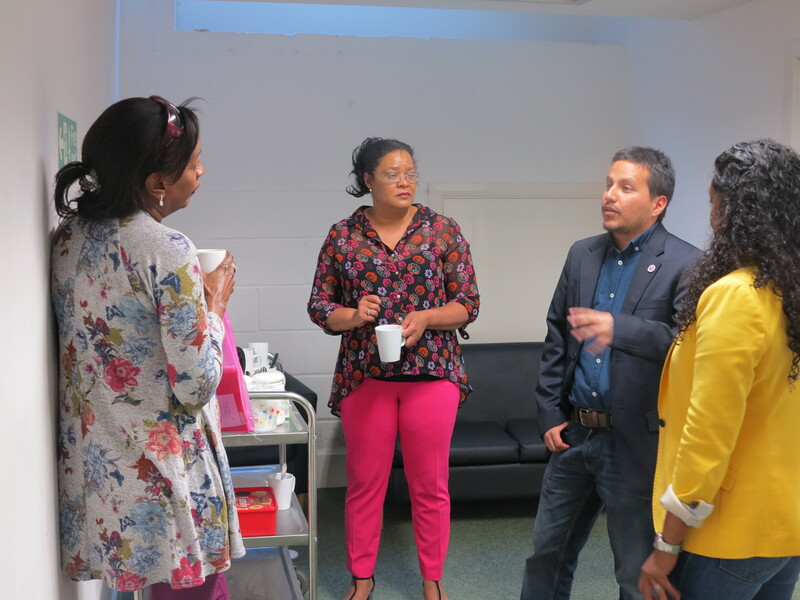 The seminar was organised by a Shabaka, a start-up social enterprise established by Sussex Centre for Migration Research (SCMR) researcher Bashair Ahmed, and BMECP– a Brighton based Black and Minority Ethnic (BME) local organisation.